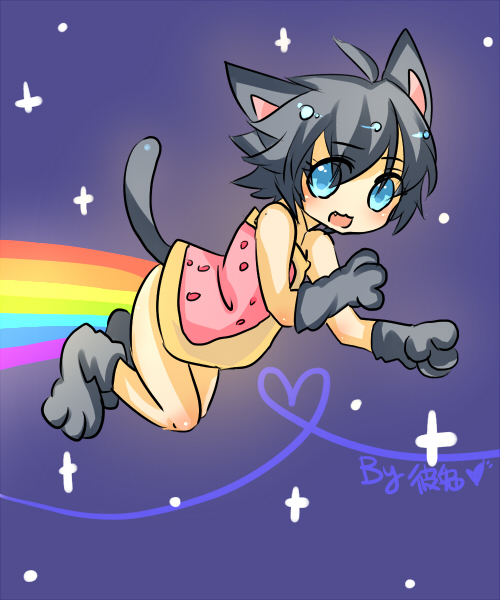 Nyan cat Girl~. <3. Wallpaper and background images in the Nyan Cat club tagged: nyan poptart cat rainbow nyan cat nyan girl. This Nyan Cat photo contains 애니메이션, 만화, and 만화책.